BOND PAID on this LOVELY EXPANDED CAMELLIA situated in a quiet cul-de-sac in the Village of GLENBROOK! 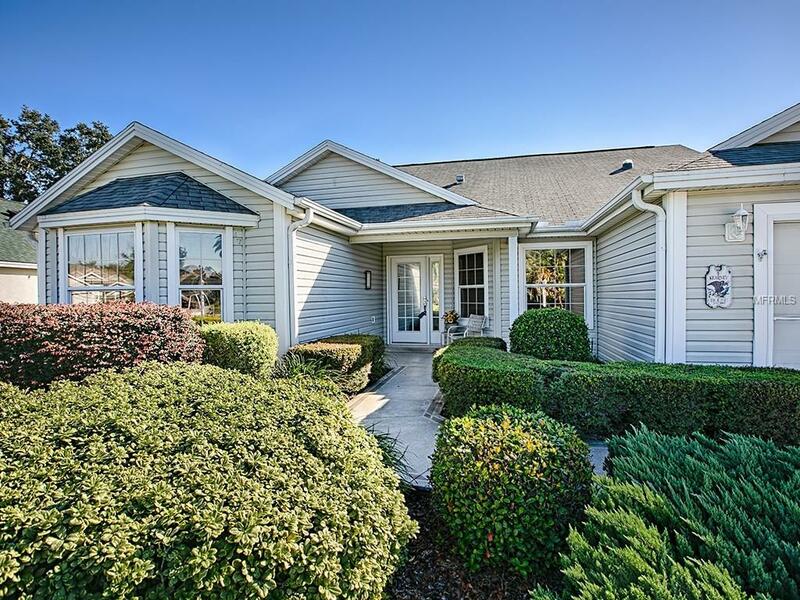 Upon entering the home, you'll appreciate the large tile in the foyer, walkways and kitchen with BEAUTIFUL HARDWOOD FLOORING in the living room, dining room, Master Bedroom and both guest rooms! 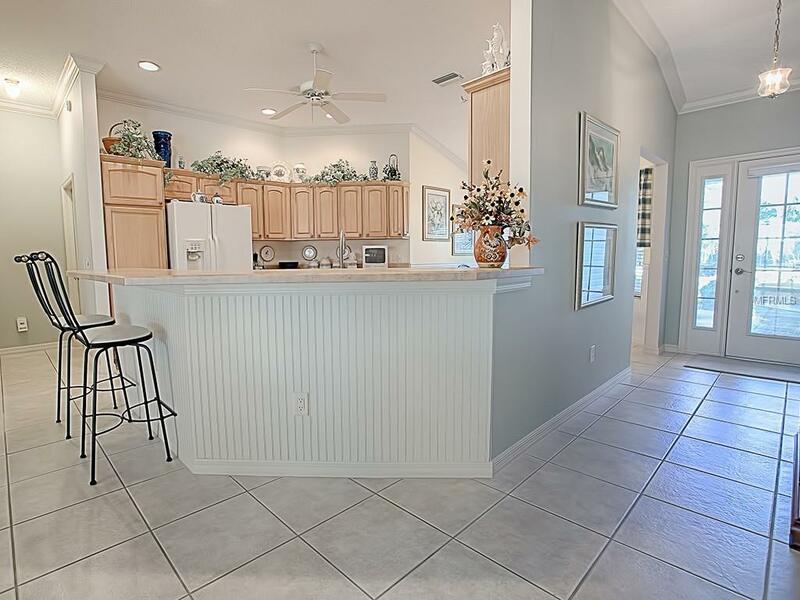 The spacious kitchen has lovely MAPLE cabinets, a pantry both w/pullout drawers, NEW microwave, NEW dishwasher, smooth top electric stove (gas available) and side-by-side refrigerator. 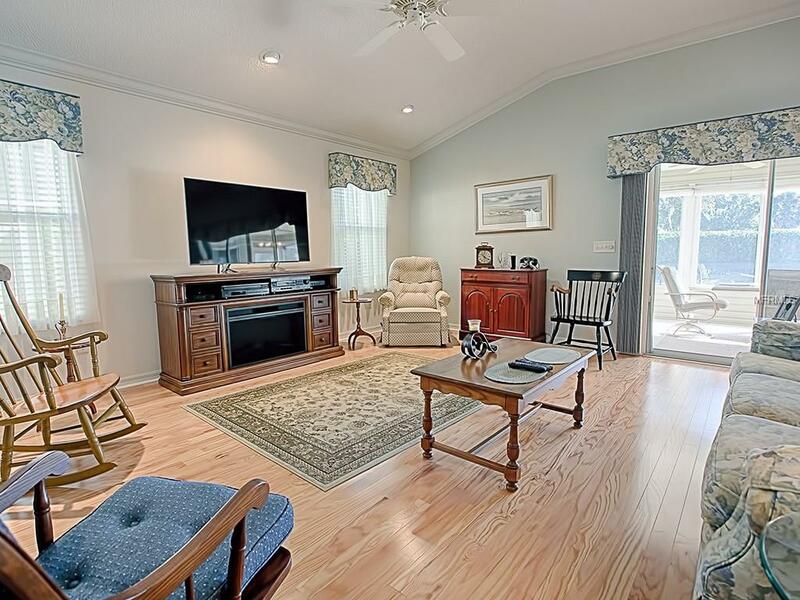 The convenient eat-in area and the breakfast bar are both surrounded with BEADBOARD PANELING. Lovely living/dining room is enhanced with CROWN MOLDING and opens with sliding glass doors out to the acrylic ENCLOSED lanai all under heat and air! Great PRIVACY with no homes behind. This home was expanded in all the right places. The left side of the home was STRETCHED 2 ft which made for a larger guest bath and both guest rooms. The front guest room was also stretched out 2 ft and a bay window was added. This room does not have a closet but a custom built-in desk was added for an office/den. There is a pocket door that leads to the guest side of the home. The master bedroom has his/her closets, en suite master bath with separate room for toilet & shower. So many extras in this home: NEWER HVAC, 30-year ROOF, SURROUND SOUND controlled separately in every room, custom cornices, coat closet off laundry room, 2 ft LONGER and WIDER GARAGE, extra storage, piped in GAS for outside grill and the list goes on! GREAT LOCATION TOO ... COME SEE!